Statuesque Miniatures is pleased to announce we are taking Pre-Orders for the new Pulp Alley supplement Vice Alley, along with the new Pact of the Oginali Booster Pack. 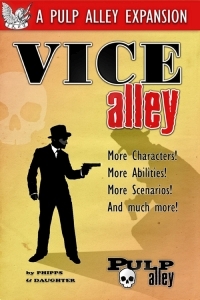 Vice Alley is a thrilling Pulp Alley expansion that introduces two new character types (Gangs and Associates), ten new perks, over two dozen new abilities, and rules for Bystanders. Vice Alley also includes a thrilling multi-chapter campaign designed to play just like the old pulp magazine and serial adventures. The Vice Alley book is available at a Pre-Order price of only £11, saving over 10%. 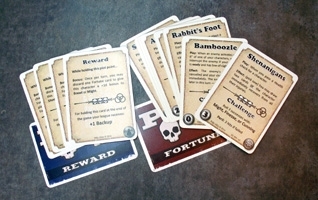 Inspired by the most ancient of secret societies, Pact of the Orginali Boost Pack brings 10 fun new Fortune cards and 5 new Reward cards to your Pulp Alley gamers. Printed on premium 310gsm plastic coated (linen) to closely match the high quality printed Fortune Decks. The Pact of the Oginali Booster Pack is available at a Pre-Order price of only £4.25, saving £1. Both offers will run until 18th of November 2014. 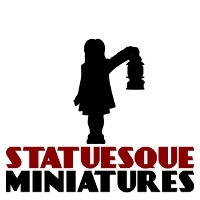 Please note that any orders containing a pre-order item will not be posted before that item is in stock at Statuesque, expected mid-November. For updates, visit the Statuesque website or Facebook page.